Sustanon 250 has been one of the more popular steroids used by bodybuilders, the amount of muscle you can gain from this steroid can be impressive, not only does it deliver results it can be stacked with other steroids like Deca, Primobolan, and Equipoise. Sustanon 250 is a combination of four different esters carefully blended into one compound. The 250 in the name stands for the ratio of milligrams per milliliter that was available in each ampule (original presentation). 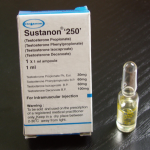 Sustanon 250 is the exact same ester blend found in Omnadren which is sold in Europe. The original concept behind the Sustanon compound was to make a blend of esters that could be injected less frequently yet offer quick results. In the US this never caught on and doctors chose to go with a single ester instead. However, the British National Formulary has Sustanon listed as the preferred substance for testosterone replacement therapy. Since sustanon 250 is made up of four different esters the androgenic ratio is 100:100. It is an injectable steroid that usually comes in 1 ML ampules with 250mg of the substance. However, there are a few labs that sell 10-20ML vials with the same mg/ml ratio. 100mg Testosterone Decanoate: this is a long ester that has the most concentrated amount of the substance and makes up 100mg of the 255mg formula. The half-life is 15 days. 60mg of Testosterone Phenylpropionate: This is the shortest blend in the formula and is found in nandrolone phenylpropionate, this is a shorter acting ester with a half-life of 4-5 days. Even though the half-life is short its compensated by the phenylpropionate until the longer esters start to work. 60mg Testosterone Isocaproate: This is also a short ester with a half-life of 9 days. 30mg Testosterone Propionate: This makes up 30mg of the total 250mg in the Sustanon formula, it has a half-life of only 3.5 days making it the shortest ester in the formula. There are a few myths that surround Sustanon 250, some guys say that Sustanon should be injected every other day to maintain blood levels. We believe this is due to how they conceive the esters work. When you inject Sustanon 250 all four esters begin to work at the same time. The sustanon 250 half life means that after administering the steroid only half of it remains in your system after so many days. It does not mean the substance completely leaves your system. Which is why it is recommended to inject Sustanon every 12-15 days. The benefit that Sustanon 250 offers is that the short esters begin to do their job immediately and once they peak, the longer esters follow and pick up the slack maintaining stable blood levels. 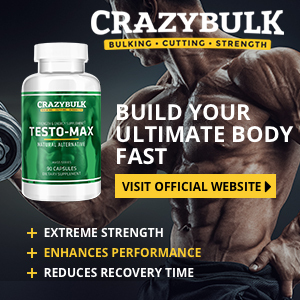 While some make Sustanon 250 out to be a super testosterone formula it really isn't, in fact, you will get the same benefits from this complex ester base as you would from a single ester testosterone. Sustanon 250 is really just pure testosterone with a modified ester base. Sustanon 250 is the perfect formula for treating symptoms of low testosterone in both men and women. As most men know, low testosterone can lead to a series of health problems. Treating low testosterone with Sustanon will quickly eliminate these symptoms and improve overall health. Boost nitrogen retention: Muscles thrive on nitrogen, when nitrogen levels are low it can lead to muscles going into a catabolic state. Maintaining healthy nitrogen levels will keep your body in a healthy anabolic state this is helpful for bulking. Improve protein synthesis: Protein synthesis is the rate at which your cells can build muscle, sustanon helps to enhance protein synthesis for quick muscle gains and fast recovery. Increase red blood cell count: More red blood cells improve the ability to transport oxygen into your muscles, more oxygen means better performance and less fatigue allowing you to train with more strength and endurance. During the offseason Sustanon 250 is a favorite among bodybuilders, however, you can't expect the steroid to work on its own. In order to make the most out of this bulking steroid, you will need to ensure you are getting plenty of calories from quality proteins. High protein levels will improve your metabolic rate which means more muscle and less body fat. While most think of using testosterone just for bulking, it can be just as important during a cutting cycle. Believe it or not, using Sustanon 250 during a cutting cycle can help you maintain more lean muscle while cutting. During a cutting cycle, you tend to burn more calories than you consume, this can put your body in a catabolic state and put muscle at risk. Sustanon can help protect lean muscle mass while eliminating excess body fat. For a healthy athlete or bodybuilder Sustanon 250 is well-tolerated, however, there can be potential side effects. Side effects will vary from person to person, a lot depends on genetic predispositions. Some bodybuilders may choose to treat these sides with SERMS (estrogen receptor modulators) or aromatase inhibitors, however (AI's) are probably the most effective for treating the symptoms. Sustanon 250 is not hepatoxic and will not cause liver damage or stress the liver. We should mention that the detection time of Sustanon 250 in the blood can be up to 3 months which is something tested athletes should consider. Sustanon is sometimes prescribed in low doses to women suffering from low testosterone, this should only be used for hormone therapy. Just like with other anabolic steroids higher doses can lead to virilization. For therapeutic use in the treatment of low testosterone the recommended dose is 250mg every 3-4 weeks. For performance enhancement, bodybuilders will use doses ranging between 250-1000mg per week. For the best anabolic effect 500mg per week seems to be the most effective. Higher doses will obviously produce better results especially where gaining muscle and strength are concerned but high doses may also lead to potential side effects. Sustanon is one of the most widely used steroids and also one of the most expensive. 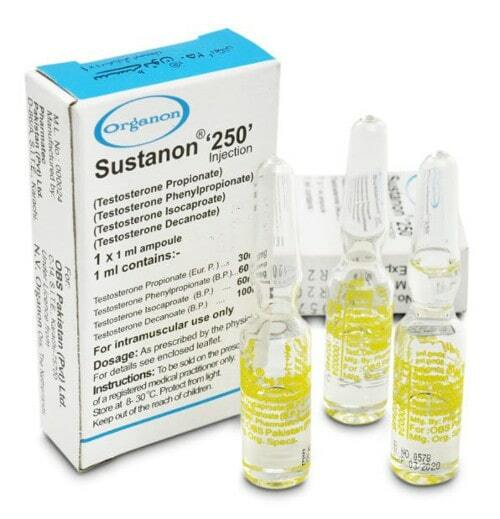 Organon labs makes sustanon 250 available in several countries. While this steroid is easy to come by there is also a lot of fake sustanon 250 sold (especially online) so you should be cautious and ensure you are buying your product from a legitimate source. Pricing will vary depending on the presentation and the brand, on average for a genuine 250mg vial you will pay anywhere between $20.00-$65.00 while you may find cheaper sources of sustanon 250 we highly recommend that you choose your source wisely. Should you use Sustanon 250? When it comes to testosterone, Sustanon 250 is one that delivers some good results, and if used within the recommended dose the side effects should be minimal. We do not condone steroid use and recommend that you always consult with your doctor or a knowledgeable professional before using steroids. There are many safe all natural alternatives that offer similar results without the side effects, so choose wisely in order to maintain proper health. The information on our website steroidreviewer.com is intended for educational and/or entertainment purposes only. It is not intended to be a substitute for informed medical advice. You should always consult with your doctor about any questions or concerns you may have regarding your health or steroid use.